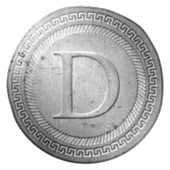 I started up a little Denarius Swag shop to get Denarius T-Shirts and Hoodies. They are a great way to advertise DNR out there and also make for a great gift! More designs and items will be added as time goes by. In the next coming months, I will start to open trades for these items. So you can buy DNR merch with DNR! Updated this topic to include the loved https://btfd.shop as they sell a plethora of awesome goodies! Aye i have Officially made it!! Thanks for the love Carsen!